You can now ask your questions about this Entrance Exam. Please go to the bottom of this page. Applications are invited for Central Universities Common Entrance Test CUCET-2019. A consortium of 14 Central Universities of Andhra Pradesh, Assam, Gujarat, Haryana, Jammu, Jharkhand, Karnataka, Kashmir, Kerala, Mahatma Gandhi (Bihar), Rajasthan, Tamil Nadu, Punjab and South Bihar established by an Act of Parliament and the Bengaluru Dr. B.R. Ambedkar School of Economics (BASE) registered under the Karnataka Societies Registration Act, jointly organize a combined CENTRAL UNIVERSITIES COMMON ENTRANCE TEST (CUCET – 2019) for admission to their various programmes. Just follow the below steps to apply for the CUCET-2019. Step 1 : Visit the official website of CUCET through provided above. Step 2 : Next read the instructions carefully and click on “Apply Online” button. Step 3 : After that, click on “New Registration” button. Already registered user can directly login with your Application ID and Date of Birth. Step 4 : Fill your Registration details and click on “Save & Proceed” button. Step 5 : Enter your Academic Qualification details and upload your recent Photo & Signature. Step 6 : Fill your University & Program details. Step 7 : Finally click on “Submit & Make Payment” button. Step 8 : Pay your exam fee to complete the application. Step 9 : Applicants will receive SMS and Email alerts at the time of registration and also after completing the registration. Applicants can apply for a particular programme for a maximum of three PUs with a maximum of 03 options of programmes in each of the selected PU. ** Must have a valid e-mail Id. 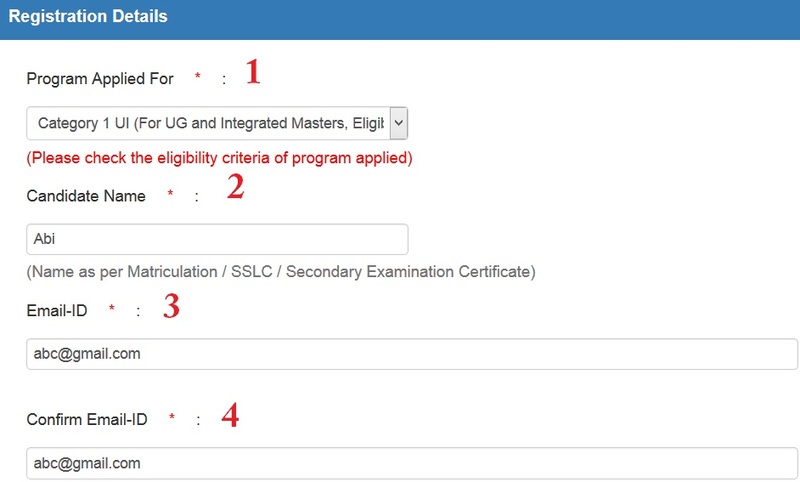 ** Please check your eligibility criteria and examination schedule before selecting program for various universities. 1. An applicant can apply for payment through net-banking/debit/credit card/UPI. 2. GST and other taxes as applicable by Govt. of India/Bank. 3. An applicant can apply for three programmes from three Participating Universities (PUs) by paying application fee as mentioned above. 4. An applicant can further apply upto 03 additional PU’s (03 programmes each) by availing Add-on facility by paying additional fee Rs. 800/- (Gen/OBC/EWS applicants) or Rs. 350/- (SC/ST applicants). While doing so, a University can be repeated in add on. 5. The application fee for International applicant is Rs. 3500/-. (ii) Part B : Domain Knowledge – comprising of 75 MCQs. This part may consist of one/two/three or more sections. (iv) There will be negative marking in CUCET-2019 in UI and PG programmes. Each correct answer will carry 01 mark and for each wrong answer, 0.25 marks will be deducted. (v) No negative marking for research programmes of CUCET examination 2019.